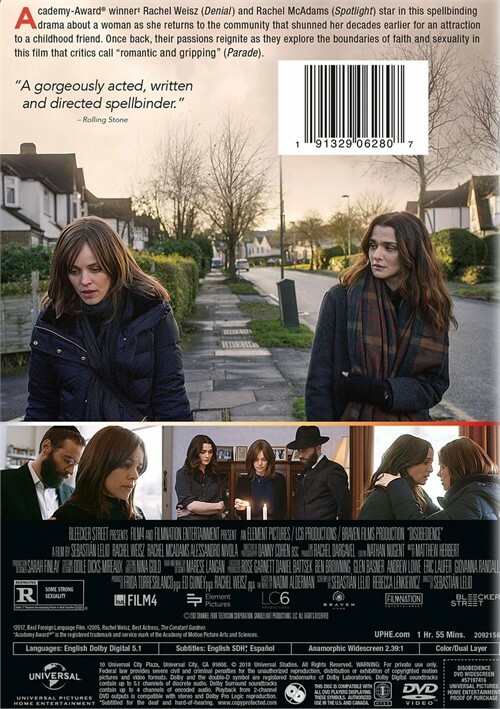 Love is an act of defiance in Disobedience the tender romantic drama from director Sebastian Lelio, the profoundly talented up-and-coming queer filmmaker behind the Academy Award-winning A Fantastic Woman. Rachel Weisz stars as a woman who returns to the orthodox Jewish community that shunned her for decades earlier because of her attraction to a childhood friend (Rachel McAdams). Once back, passions between the two women reignite as they explore the boundaries of faith and sexuality.